Has your house become drab over the years? Is the paint starting to chip and peel off the walls, giving your walls an ancient look? Maybe your house needs a fresh coat of paint. Who knows, it may even raise the price of your property. Your house is one of your most prized possessions and you have all the reason in the world to treat it in the best possible manner. Painting your house may give you a change of scenery and liven up the atmosphere in the house. But it doesn’t come easy. You need to be prepared before starting a painting project and dealing with the resulting mess afterwards in a skip. Not only is painting your house a cheaper renovation alternative, but it allows you to add personality to your house. If you’re planning to take some time off work to spend on this project, it can be the perfect opportunity to bond with your loved ones around the house. Before you start painting the house red (or whichever combination of colors you have in mind), consider these preparatory steps to make the endeavor more efficient and rewarding. When you start painting your walls, make certain that you don’t just use papers to cover the floor. The reason for this is that you move around quite a bit during painting. This movement may cause the newspapers to tear. The paint will seep right through the torn newspaper and onto the floor, permanently staining and ruining any carpeted, wooden, tiled or marble flooring. It is therefore a good idea to use cotton or cloth sheets under those newspapers. To secure the cloth in place, you will need to use tape. Painter’s tape may be a good option for this as it will hold the cloth in place. Just as spray painting cars, you will need the tape to cover window sills to make sure that any paint is not smeared onto them by accident while you are painting. Make sure that the walls you are painting on are clean before you apply a thick and uniform coat of paint on them. Dirty walls will not let the paint be applied evenly. There might be air pockets or bubbles left after the paint has been applied which will not look good. We should have told this first as when you’re clearing the house for your painting project you will definitely need a little spring cleaning. Furniture in the room being painted may be covered with cloth or plastic sheets but it may get in the way of your painting. To prevent any mishaps, it’s best if you move the furniture out of the way. When you clean and clear out the house as you paint your way through each room, you may find possessions that you had either lost and forgotten about or had just given up on finding. Some of the articles of possessions may be of little or no use to you anymore. You may sell salvageable items but what about the others? If you’re thinking of throwing these away, a skip is the best way to go. The professionals know how to deal with these unwanted items. They may even be used as input for recycled products. You may also find that some of the objects or artifacts in your house might not go so well with its new look. Dispose of them using a skip hire company. When you come around to an obstacle in your painting you could just paint around them, right? Wrong! Most people look at the electrical wall sockets and say “Oh, I’ll Just paint around that!” What they later realize is that their paint has been smeared all over the covering and it is not looking good at all. Those little paintbrush strokes will be visible to any guests that come into your home. Their first impressions about the house will not be a very good one if you tell them you repainted it yourself. Therefore, it is wise to remove the covers to the wall sockets when painting. Ceiling painting means the same for lighting fixtures. Most importantly, you need to be extra cautious if you have small kids. There is a very real risk of electrocution when and if they come into contact with the sockets without its protective covers. Switch the electricity to the whole house off when you have kids around. This is one of the most crucial steps in a painting project that many people overlook. They will move the dozens of cans from each room they are done with to the next. Don’t do that; instead, find a central location that is close to the exit to store the many dozens of paint cans and brushes, and take only those cans and brushes that you need to the work site (room). There are strategic advantages to doing this. Paint won’t necessarily be spilt around the house whenever you open a can of paint. It will all be accumulated on the cloth and newspaper covered area that you have chosen as a preparation ground. It will work well even with mixing of colors. If you’re getting the family or your friends involved in the endeavor, it will save all of you the hassles of finding bushes or rollers because everyone knows where they are. When you are done, you can use a skip for throwing away the gathered waste effectively. When you’re done with the project, you will experience a feeling self satisfaction that you accomplished a task that was both rewarding and fulfilling. But you won’t breathe a sigh of relief just yet. You will most definitely have dozens of empty paint cans and brushes, tonnes of paint covered newspaper and sheets left over from the project. You’re probably not going to use them again and would like to get rid of them. This rubbish, if not disposed properly, will be harmful to the environment. 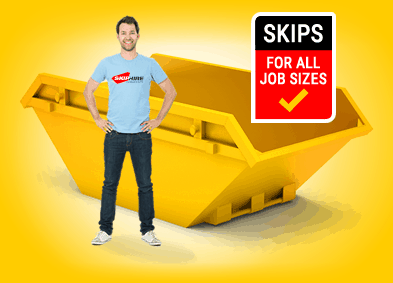 That’s why you will need the services of a skip hire company that will take care of the resulting mess from your DIY painting project. 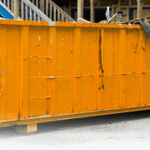 Professionals in the skip hire business conform to the standards put into place by relevant authorities and will dispose of the waste in an environmentally friendly and sustainable way.